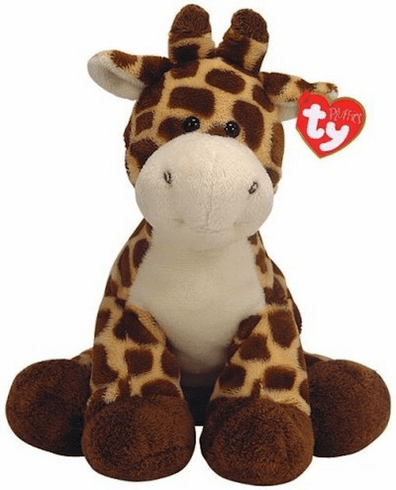 Cute, slouchy baby giraffe with a soft white tummy! Pluffies collection. Height is 10"